It’s time to update one of my fonts, Dash. I will push it to my github tomorrow. But, for the time being, I am uploading it over at omploader. As I had mentioned earlier, the only difference between v2.0 and v1.0 is the letter “l”. It should be evident from my NetBSD screenshot from a few pages earlier and the shot in this post. Just click on the image below to download. As usual, you can push it to /usr/local/lib/X11/fonts/Dir-of-your-choice/, and update your font cache. That’s just about it. Here is another screenshot with dash in action. This is my first Linux shot after a long long time. Was testing some optimizations coupled with few other tests and new grimoires on my Sorcerer box. KDE after a long time as well. Just click on the image for full view. If there are any further questions, please feel free to ask by using the Comment feature. I will update my Github with Version 2.0 tomorrow. This is my second font release. I call it dweep. No particular reason for the name though. I took the amazing Neep font from Jim Knoble, which is one of the favorite fonts of programmers, and modified a few characters, namely, “a”, “i”, “f”. May be some more, but it eludes me at the moment. I did this specifically for my netbook. Small enough and readable at the standard EEE resolution. As usual, I have updated my github with this font. You can get it from there. Just click on the image to directly go to my github page. 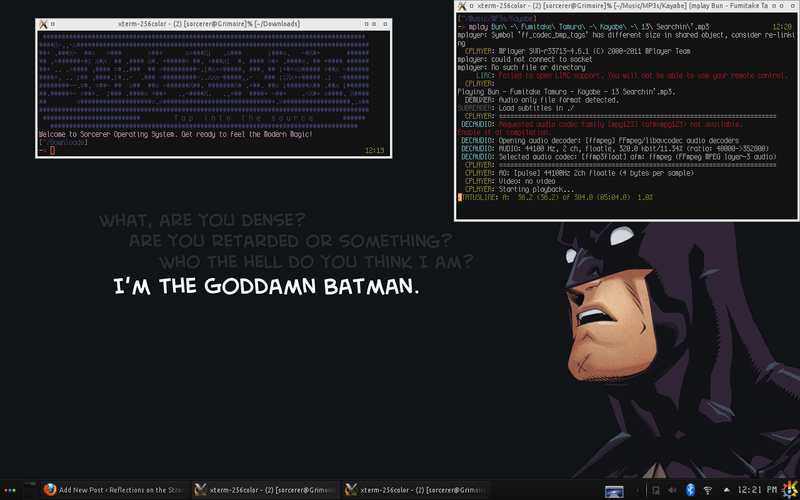 Posting an old screenshot with the font in action on my OpenBSD powered netbook. Gives you an idea as to how it looks on a dark background. Click on the image for full view. I will release another font tomorrow. Till then, folks. As I had mentioned earlier, I modify fonts at will. Some I like, some I don’t. I have decided to share all modified fonts that I use from time to time. The first one in that series is Dash, which is a mod of the awesome font, Smooth from the Misc. foundry. The latest version of the font is on another machine, so I will update this submission coming Saturday. Apart from simple changes here and there, the only big difference between Smooth and Dash are the letters, ‘a’ and ‘i’. The newest version that I currently don’t have access to also has a different ‘l’. See NetBSD screenshot from a few posts earlier. The font is available on my Github page. Just click on the image to get there. The image should give you an idea about the font as well. I see that omploader also went dark protesting SOPA. I have updated my github with the foobar-solarized fluxbox theme. Just click on the image to go to my github page. You can get the theme from there. If there are any questions, please feel free to comment.  From my screenshots here it would be clear that I like light on dark color schemes. Although I am aware of the solarized palette for quite some time now, I was a bit reluctant to use it. Not anymore. I gave the Solarized-Light version a try, and consider me sold. This one works perfectly with a good ttf font, ideal size and hinting. This is also the first time that I am using a ttf font (Envy Code R in this case, size 8). Another plus in favor of solarized is that there are a lot of editor specific themes already available that makes the computing experience uniform across the spectrum. 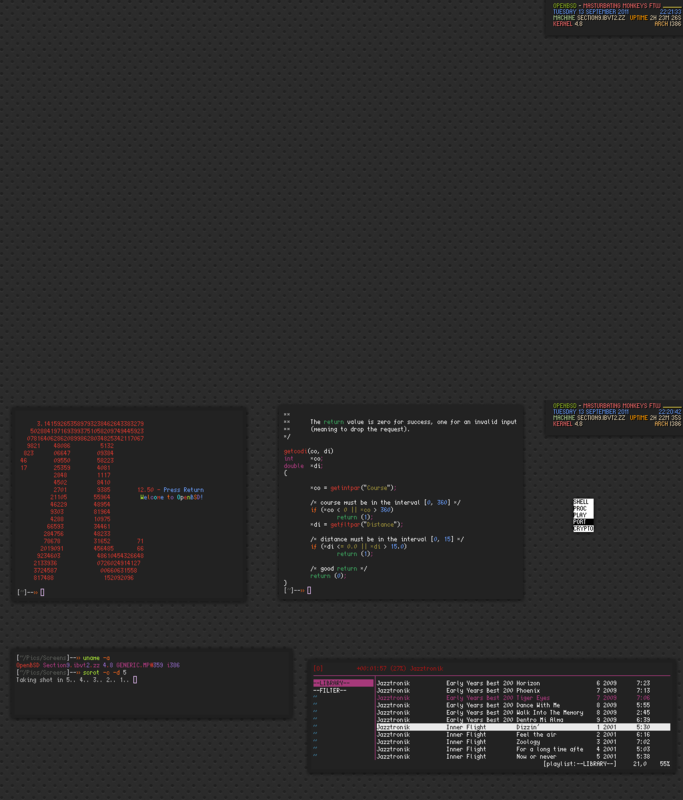 So, I just hacked a quick fluxbox companion theme to go with solarized light colors. 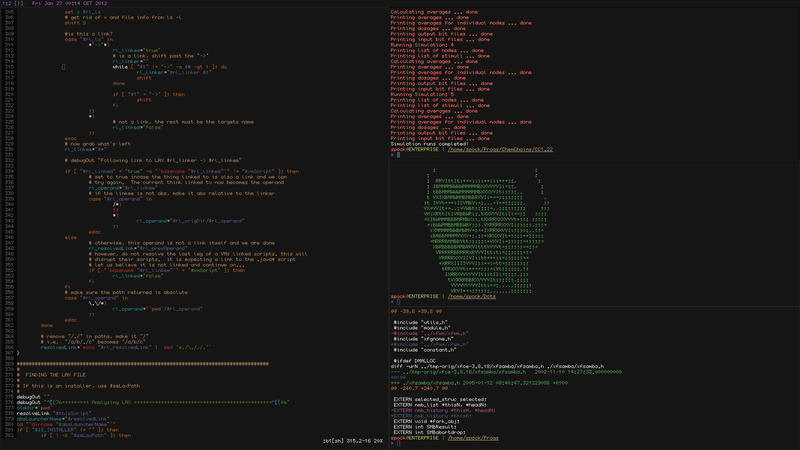 This theme is a mod of tenr’s foobar theme. I call it foobar-solarized. I also found a perfect wallpaper from wallbase. Being a fan of comic books and Justice League, this is the perfect wallpaper. 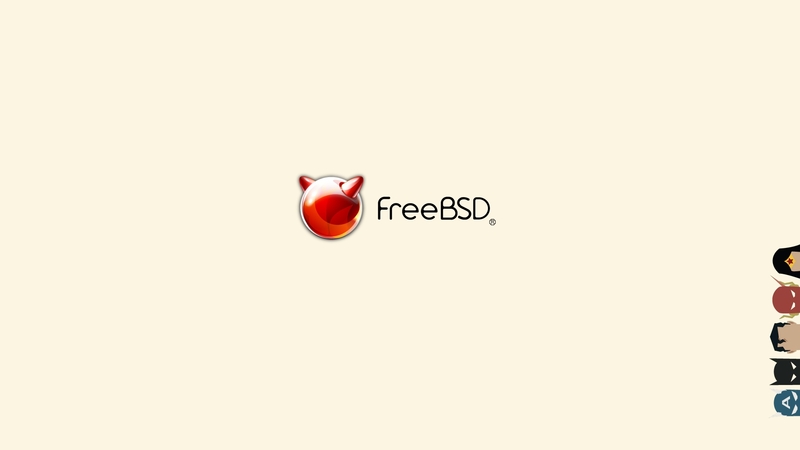 I just modified the color a bit and threw the FreeBSD logo on it. You can download both the wallpapers here as well. Anyway, here is the screenshot. Click on the image for full view. Does xfwm on Xfce-3.8.18 segfault? I completely forgot about it in my XFCE3 CDE look post. On my machine, xfwm would segfault sometimes. I haven’t had the time to look into it in detail. But I have a workaround. So, if any of you guys are planning to experiment with XFCE3 and experience core dump with xfwm, do let me know. I haven’t tested it on i386, so, at this point can’t be sure if it is an amd64 bug or something FreeBSD specific. I could replicate the dump regardless of whether I install it from ports or build it separately from source. I am a sucker for nostalgia. For instance, I am a huge fan of the Common Desktop Environment (CDE). My first serious UNIX experience was with a Solaris box back in the late 90’s when CDE was the de facto standard. It took a fair amount of time to get used to it, but after that it was a fascinating computing experience. Every now and then I would configure my desk to look like CDE. Fortunately, it is easier now, thanks to Karsten’s OpenCDE project. That fact that it was developed on a FreeBSD box, it is pretty easy to set it up without changing any of the installation files. I have used it a lot before. But this post is about Xfce and its pre version 4.x CDE look. A visitor of this blog asked how it could be configured that way. Hence, this post. First, you need the source files. I used Xfce release 3.8.18. You could grab them from sourceforge, of course. Extract the archive and a simple ./configure, make, make install should do the rest. That’s just about it. Bad news is, on amd64 boxes it is likely that the build would fail when compiling xfgnome. But the good news is, it can be patched to rectify that. To make matters easier, I have uploaded the archive (with the patch) over at omploader. The patch sits in the xfce-3.8.18 root directory (called patch) and you should simply patch it before the build. It should work just fine after that. Just click on the image to download the archive directly from omploader. In addition, you can parse various options when you run configure. You can enable old style panel (see screenshot), CDE specific files, etc. ./configure –help should give you all the options. Good luck. If you guys encounter any issues, please let me know with your comments. 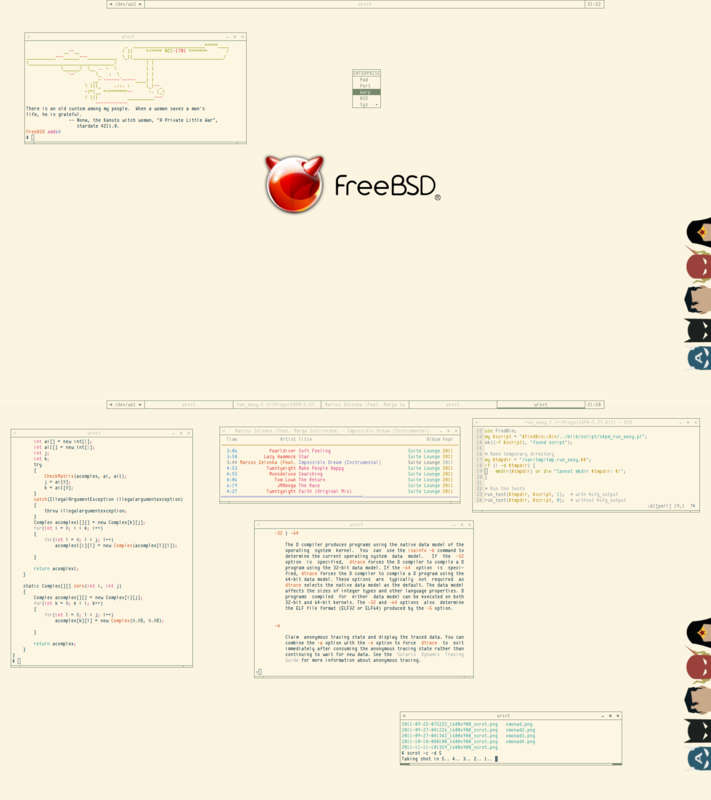 For FreeBSD, xfce 3.8.18 is still available in ports, although deprecated. How many times have you heard the cries from users on various forums about their X not working? Do you guys remember, probably a couple of years back, there were so many people complaining that Ctrl+Alt+Backspace didn’t work anymore after an update? Anyway, I just happened upon a funny quote from Fortune that talks about how cars would be like, if X-window designers built them. Most of you must be aware of this already, but if someone isn’t, please read on. cat is a command that I use quite often. I use C, C++ and Perl on a daily basis and it helps to have cat maintain highlighting. Forunately, there is Supercat (spc). With spc, concatenation provides more clarity, since the code is properly highlighted and I don’t have to go through monotonic text. The best part about spc is that you can define specific conf files for every language and file type. Here is an illustration of the difference between cat and spc for a C program. As you can see, spc is more comfortable. 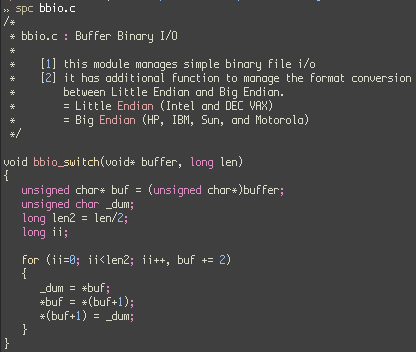 I use spc just for the heck of it to add some color to otherwise mundane ascii art as well. For instance, take a look at the following Enterprise ascii art. 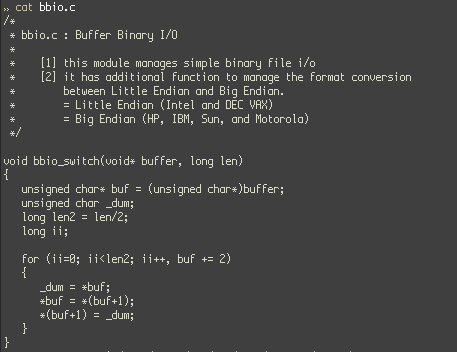 Here, spc is called upon and asked to use xorg.conf based spcrc to color the ascii art. You could use other options as well, like, py, c etc. It’s nothing interesting, but its fun.